Standard - €9.99 Only 1 left! Measures approx. 2" x 2"
Zombies can take quite a few hits and just keep droning on. They're the most motivated creatures for food outside of a growing teenager. You should definitely stay out of the path of both that's for sure. It's a scary comparison, we know, but we were teenagers once too and all you can eat buffets still quake in fear of us getting together for a good ol' chow fest. So it's impossible to show off that you're a real veteran zombie without an exit wound or two from a bullet that some would-be hero tried to kill you with (We bet they were delicious). Until you actually turn to the undead side and just feel like blending in with the crowd throw on one of these Hollywood Film Quality 3-D Temporary tattoos. 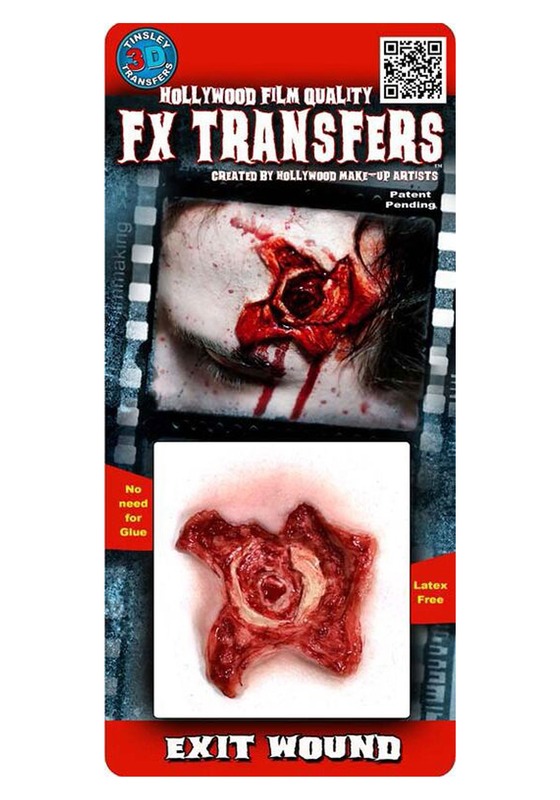 It already looks pretty gruesome on the package so we think it will be plenty terrifying on your face or neck!